Timing seems to be the only thing Kim doesn't have. The newest issue of Marie Claire magazine has just hit stands, and the cover touts an interview with blushing new bride Kim Kardashian. 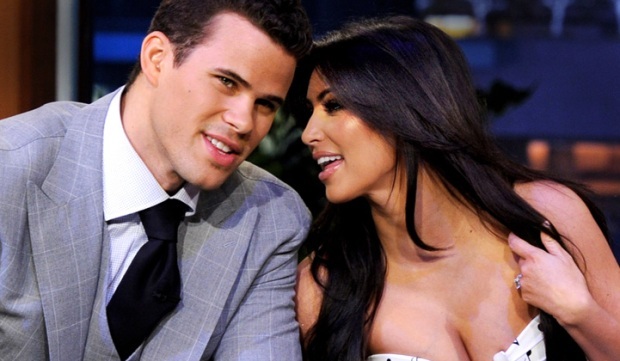 In a timing snafu the magazine could never have seen coming, their interview with Kardashian — conducted a few weeks before she announced her divorce from basketball star Kris Humphries after only 72 days of marriage — is just coming out now, and it is filled with quotes that have taken on a much different meaning now. "I feel like where we're at right now is the best time in my life," says Kardashian. "[Kris and I] have a lot of trust, and I don’t think either of us would do anything to break that." She goes on to praise her now ex-husband, saying "he’s such a good guy; he is so down-to-earth, and it’s such a reality check. He is a normal guy, and I just want to chill out and be normal and not get glammed up all the time. He gets it." Finally, Kardashian concludes with her thoughts on "what being a wife is all about." "Being there for someone unconditionally." Or for 72 days, at least.